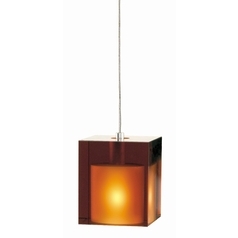 The following are detailed specifications about the Murano Glass Mini-Pendant. This low voltage mini-pendant features an antique bronze finish and handmade translucent amber Murano glass surrounding a small frost raindrop inner glass shade. 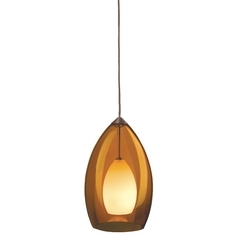 It includes a 50-watt bi-pin halogen bulb, six feet of field-cuttable suspension cable and a 4-inch round flush canopy with an integrated 12 volt electronic transformer. 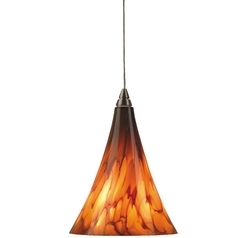 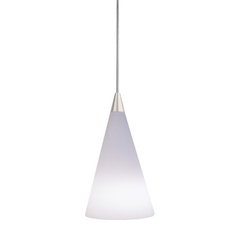 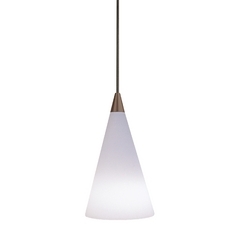 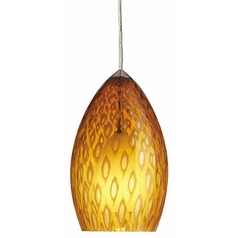 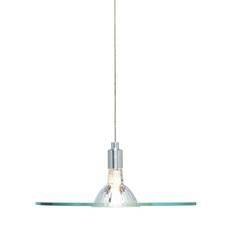 This Murano Glass Mini-Pendant is part of the Freejack Collection from Tech Lighting. 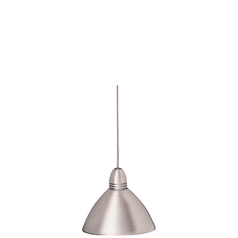 The following items are also part of the Freejack Collection.